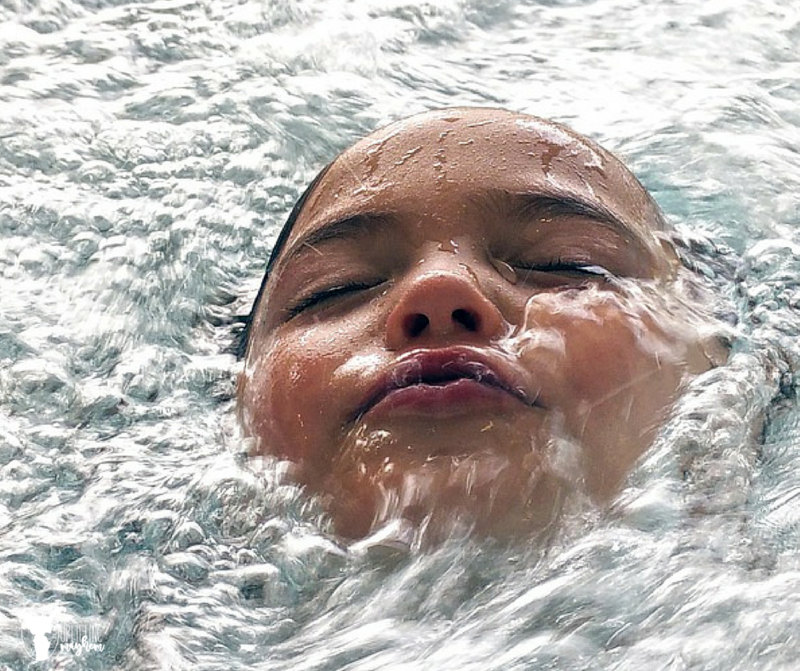 5 Lifesaving Steps Every Parent Needs to Know in DROWNING situations. 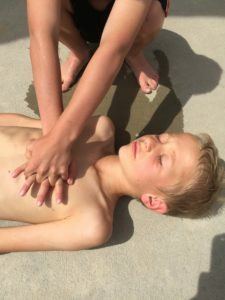 If your child is drowning and pulled out of the water, not breathing, would you know what to do? 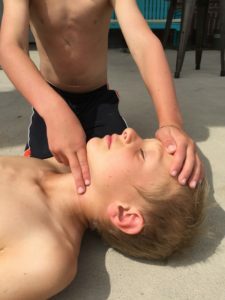 If you child started choking, would you know how to react? Unless you go into the medical profession, few parents are trained to know exactly what to do during these emergency situations. A few days ago a close friend of mine went swimming with her 4 girls and a couple friends. After being there only 10 minutes her youngest little girl, who is 2 years old, fell off the step into the hot tub. Thankfully, someone saw her under the water and ran and grabbed her out. My friend ran to her lifeless daughter, grabbed her, and screamed to some boys nearby to call 911. Her daughter’s eyes were rolling in the back of her head, and she wasn’t breathing. She had no idea what to do. She put her on her side and started pounding on her back. In the back of her mind she was searching for anything that she had learned to do in this type of situation. All that came to her was flashes of girls camp of emergency preparedness. She laid her daughter on her back and opened up her airway. What seemed like forever her daughter regained consciousness and started breathing again. Other than a few red dots on her face from lack of oxygen, my friend’s daughter is doing great. Other kids aren’t so lucky! It can happen that fast! As parents, we need to educate ourselves to know what to do during an emergency situation. I am going to do a series of posts, educating parents about different emergency situations. I hope this gives each parent the confidence to know what to do in an emergency. The body is amazing and has many safeguards to try and protect itself! When water hits that lower airway the throat spasms to close off the path to the lungs. It is not until they are unconscious that the throat relaxes and water enters the lungs. Knowing this, stresses the need to get your child out as fast as possible. In ANY emergency situation, these steps are the same. When I asked people what they think should happen in a drowning situation, most said they would do the Heimlich Maneuver. This is false! A drowning victim should be treated with these steps……. After you have removed your child from the water……. The first thing you need to do is always check your surroundings, and make sure no one else, including yourself, is in danger. During this step you will be doing multiple things at once, and should take about 10 seconds or less. Begin by shaking, pinching, talking or some other method to see if they are conscious. If they are conscious they will respond to sound or pain. Check to see if they are breathing and if they do not respond go to step 3. POINT at someone and make eye contact as you tell them to call 911. This places the responsibility on someone, and everyone isn’t thinking that someone else is calling 911. If there is someone else there, ask for them to get an AED. An AED is a defibrillator that shocks the heart. It is important to get one as soon as possible, if possible! Place your two fingers on the side of their neck and check for a pulse. If no pulse is found, or it’s lower that 60 beats per minute(bpm) in kids and 40 bpm in adults, then continue to step 5. If there is a pulse and they are not breathing, then administer rescue breaths. Give 1 rescue breath every 5-6 seconds for an adult, and 1 breath every 3-5 seconds for a child. 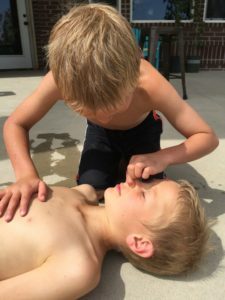 Circulation- Chest compressions. You should administer them around 100-120 compressions per minute. That is 2 compressions per second! VERY IMPORTANT! Airway – Open their airway by placing your hand on their forehead and with the other hand tilting the chin up. Breathing -Administer 2 breaths (1 second each) by plugging the nose and sealing your lips over their mouth. Repeat compressions and breaths until help arrives or you begin to feel a pulse. UTAH READERS! Odysseo by Cavalia discount tickets available!